Prince Bagrat Bagration-Mukhransky, descendant of the royal house of George, died on March 20, 2017 at his home on Marbella. He was 68 years old. 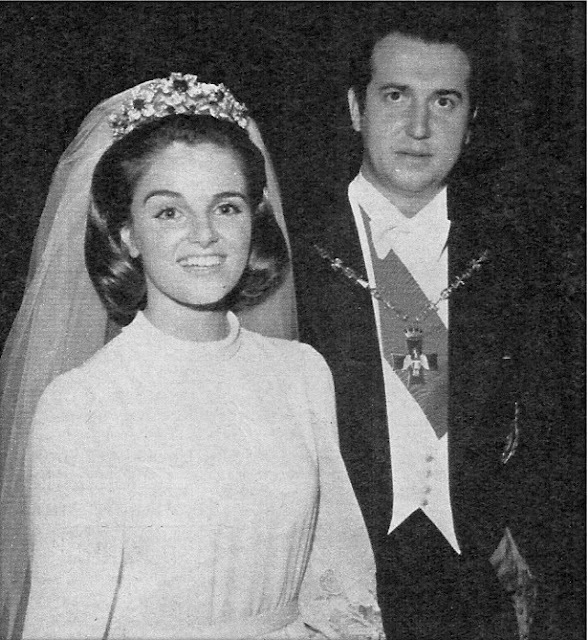 His wife, Princess Francoise, was at his side. Prince Bagrat was born in Madrid, Spain, on January 12, 1949, the second child of Prince Irakly Bagration-Mukhransky and his third wife, HRH Princess Maria de las Mercedes of Bavaria, Infanta of Spain. Prince Bagrat is survived by his widow, Princess Francoise, his two children, Juan Jorge and Inés, and his older sister, Maria Victoria, as well as numerous nieces and nephews. His older half brother, Prince George, the only child of Prince Irakly's second marriage to Countess Maria Antonietta Pasquini, died in 2008. Bagrat's mother was the daughter of Prince Ferdinand of Bavaria (son of Prince Ludwig Ferdinand of Bavaria and Infanta Paz of Spain), who married Infanta Maria Teresa of Spain, second sister of King Alfonso XIII, in 1906. He was created an Infant of Spain. In 1914, he renounced his rights to the Bavarian throne. The children of this marriage were members of the Spanish royal house, and were given the title Infant of Spain. Maria Teresa named her third child and first daughter after her older sister, Mercedes, the Princess of Asturias. Prince Bagrat's godfather, the Count of Barcelona, was his mother's first cousin. His paternal aunt, Princess Leonida Bagration-Mukhransky, married Grand Duke Waldimir of Russia. Their daughter, Grand Duchess Maria, the current head of the Imperial House, is Bagrat's first cousin.